Box measures approximately 5" long, 3 1/2" tall, and about 1" thick. 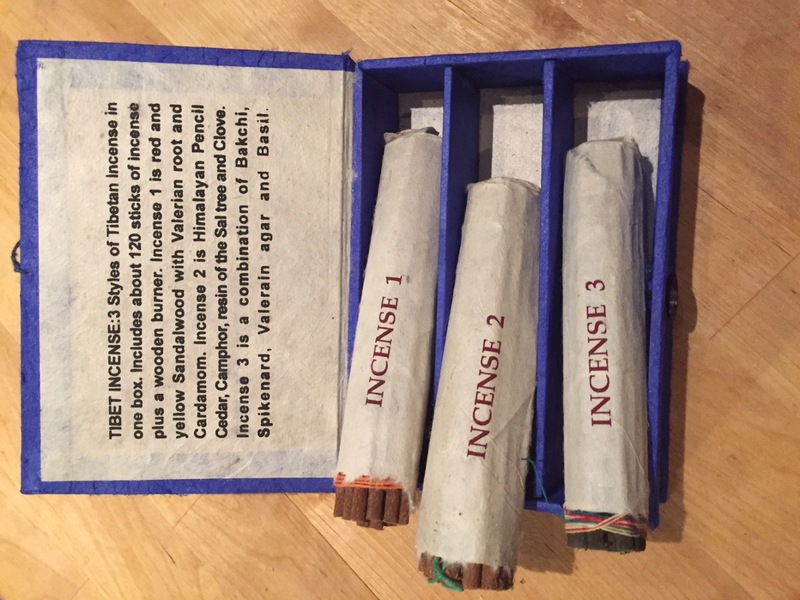 Includes about 120 incense - 3 packages of 4" sticks. Handmade in Nepal. 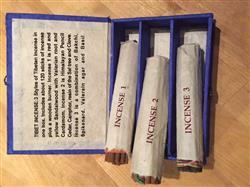 Love the scent of each one… Perfect for personal or group meditations! Terrific presentation, wonderful scent and a lovely addition to my daily practice. Bruce, thank you for your feedback and for sharing your picture with us! We're so excited to hear that you're loving your incense and hope they serve as an aid in your practice. We appreciate you taking the time to write a review and thank you for supporting Himalayan artisans! 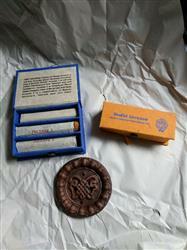 I love all of dharmashop's incense. They are earthy and wonderful and add calm and balance to any room. Stephanie, thank you for your feedback and kind words! We're so happy to hear that you love all of our incense and hope you continue to enjoy them. We appreciate you taking the time to write a review and thank you for supporting Himalayan artisans!